A NEW postgraduate programme to train specialists in the infrastructure sector has been launched to underline Singapore's bid to become the regional infrastructure hub. The programme focuses on project finance and has been set up by trade agency IE Singapore in partnership with the National University of Singapore (NUS). The course, which is part of NUS' Master of Science in Project Management, combines relevant modules across faculties such as business, finance, civil engineering and law. It aims to train 60 students a year, with about a third being undergraduates from various faculties keen on working towards a bachelor's and master's degree at the same time. While the university's Master of Science in Project Management programme has been running since 1986, it previously did not have a project finance specialisation and was not open to undergraduates. The programme is geared towards developing a pipeline of experts within the region to meet Asia's infrastructure needs. It is one of the first such courses in the region, said Mr Kow Juan Tiang, IE Singapore's environment and infrastructure solutions group director. "The skill sets that these professionals build will be much sought after," he added. IE is also offering scholarships and internships at participating Singapore firms to students on the programme. NUS has seen strong interest in the new course, with 30 undergraduates applying for 15 spots for the first run in January, said Professor Willie Tan, head of the department of building at NUS' School of Design and Environment. 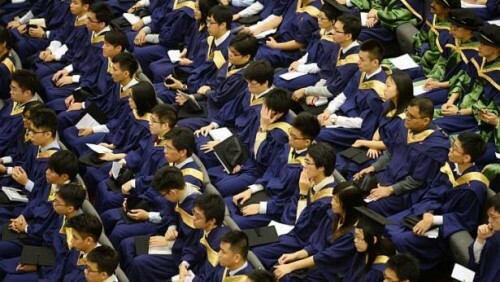 There are plans to scale up the programme to take in about 100 students a year in the near future, Prof Tan added. IE Singapore and NUS signed a memorandum of understanding to support the new programme at the third Asia-Singapore Infrastructure Roundtable held yesterday at the Marina Bay Sands Convention Centre. The roundtable event was attended by 200 delegates from China, India and South-east Asia. Projects from various Asian markets worth about US$1 billion (S$1.27 billion) were discussed.